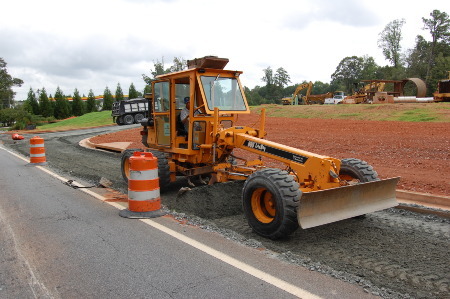 Our grading crew will work with you from start to finish to insure your job conforms to specifications. We can haul in the required materials with our fleet of trucks or coordinate with yours. For all your site work needs, we would appreciate the opportunity to work with you! Copyright 2016 Fulton Paving Co., Inc.